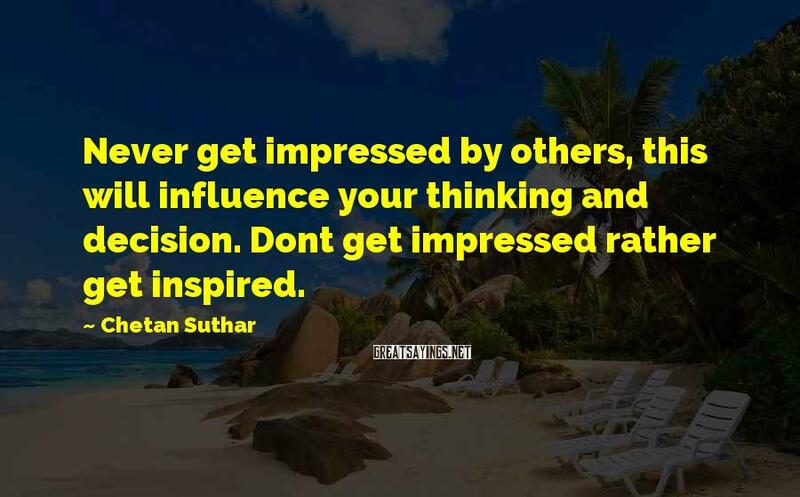 2 Chetan Suthar Famous Sayings, Quotes and Quotation. Never get impressed by others, this will influence your thinking and decision. Dont get impressed rather get inspired. Each moment we take some decisions & these small small decisions decides our future which will one day become our present. 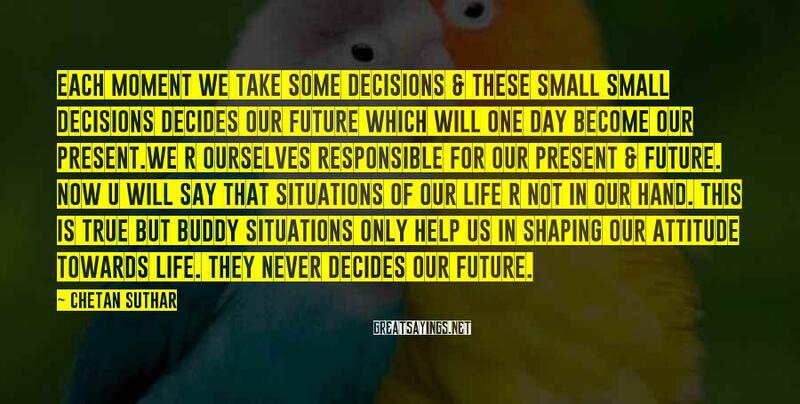 We r ourselves responsible for our present & future. Now u will say that situations of our life r not in our hand. This is true but buddy situations only help us in shaping our attitude towards life. They never decides our future.